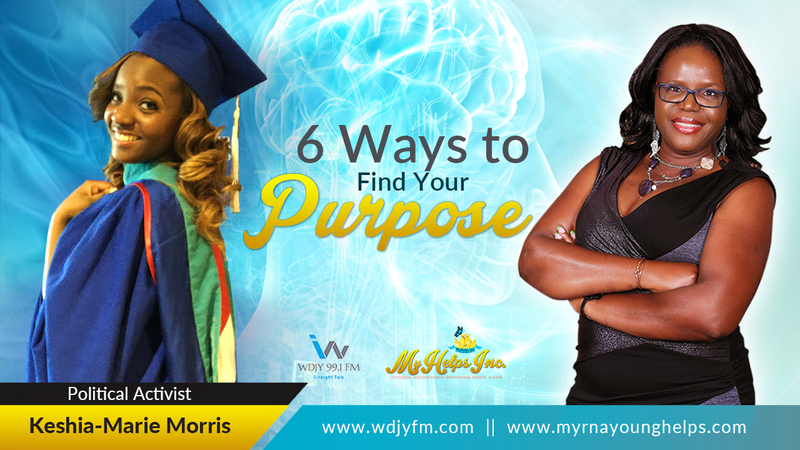 This week on #Mindset Transformation radio with coach Myrna, we give insights on 6 Ways to Find Your Purpose. Coach Dan Willms and I also interview Keshia Marie Morris, Political Activist, as she shares how she found her purpose. 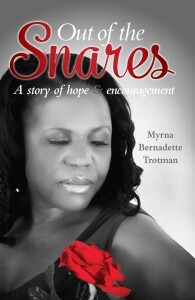 Purpose: If you don’t have one, you will perish! The bible teaches that people without a vision shall perish. That is the same statement that God made to Adam and Eve in the garden of Eden. He told them that if they ate from the tree of knowledge, then they will surely die. And they did! You see, having a purpose inspires you to live and not die! Listen to the MP3 recording to hear Keshia’s story. Here is a poem Keshia wrote and I published in my book “Out of the Snares, a story of hope and encouragement” in my chapter on Purpose and Destiny. Who called you to your purpose is perfect! Purpose will always require some suffering! Who is with you at ALL Times! Through him all things are possible!!! 1. Look inside at your natural ability. You were created with a purpose. There is something you can do better than anyone else on the planet. Seek and you will find it. 2. Pay attention to the things you like doing. The thing you would do for free. Ask yourself what would I do today if money was not a problem? 3. Find your passion. Do you want to help starving children in Africa? Do you want to stop domestic violence? Do you want to take big money out of politics? What injustice makes you mad? Don’t just talk about it, do something about it. 5. Pray. Keep an open connection to God, so you are able to hear him through the Holy Spirit. Ask him what he wants you to do, and he will answer. 6. Reflection. Do you know what you are good at? Are you aware of your strengths? Find a quiet place every day and meditate. It is the only way to connect to source and find out who you truly are. Please subscribe to my podcast on iTunes.